Valentine’s Day is right around the corner, and whether you love the holiday or just love to hate it, it’s almost impossible escape the hype that comes with it (or, if you’re spoken for, to ignore the holiday outright). But instead of rolling your eyes at the overblown-ness of it all, why not use February 14 as a chance to celebrate your love affair—with the great outdoors? Indeed, a trip to any of these romantic spots in the Bay Area is sure to win you points with that special someone—or make you appreciate the glorious freedom of flying solo. However, and with whomever, you visit with, get ready to reignite your passion for all the fantastic adventures (and the places to unwind afterward) that are right in our own backyard. 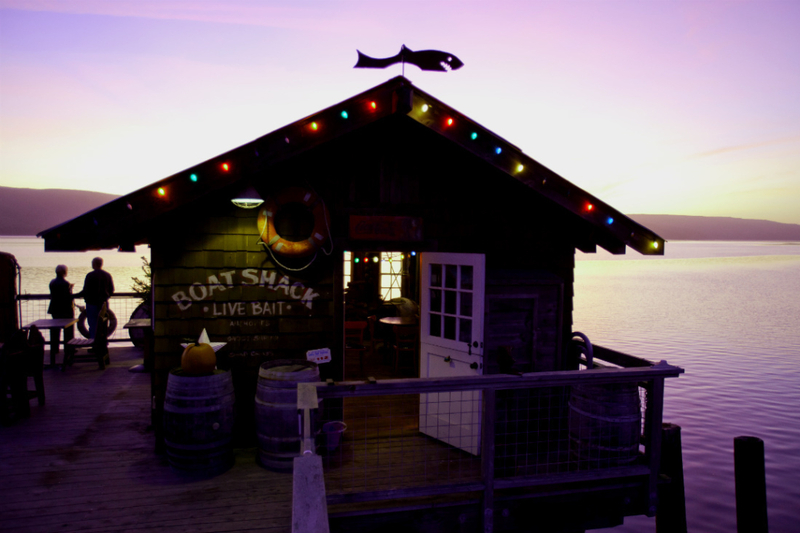 This is the stuff that romance is made of: stunning sunset views; cozy, quirky digs with made-for-two extras like clawfoot tubs, and the ultimate aphrodisiac—oysters —that Tomales Bay is famous for. 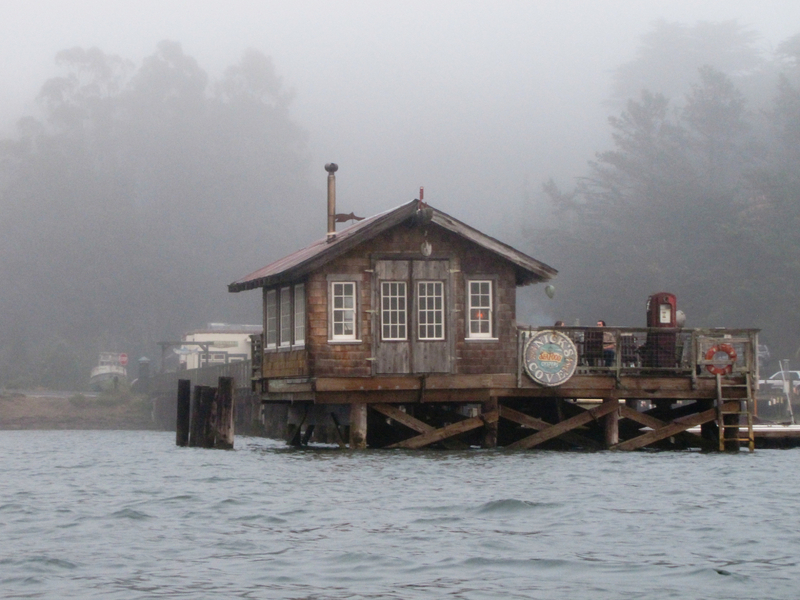 And in this neck of the woods in Northern California, outdoor adventure is as abundant as the tasty bivalves: hiking, trail running, and wildlife watching in Point Reyes; paddling in Tomales Bay; simply cruising along California State Highway 1 . And Nick's Cove , a property that includes 12 luxury cottages as well as an on-site restaurant and boat dock that's made for sunset cocktails, is the epicenter of it all. After you’ve had your fill of adventure for the day, grab said cocktail and head to said boat dock to watch the sun dip into the bay. 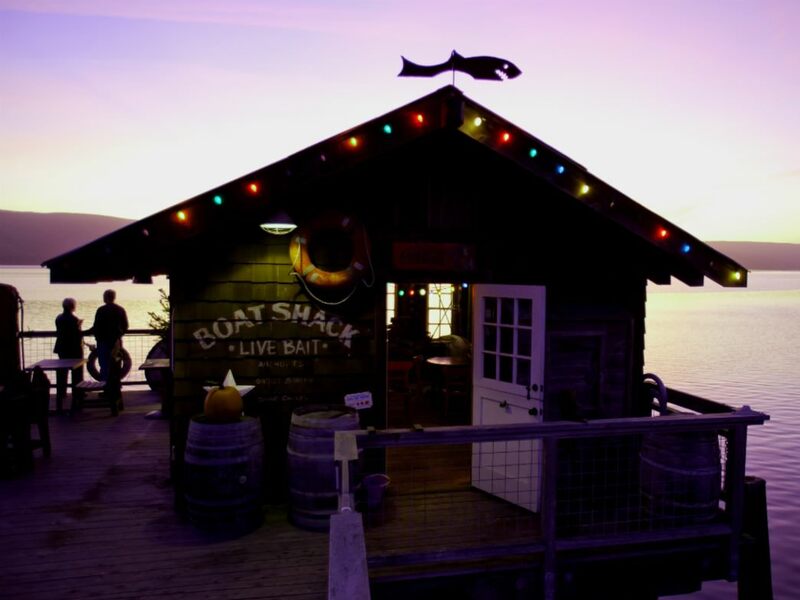 Then mosey over to the on-property Nick’s Cove Restaurant, which was designed to evoke the former 1930s fishing settlement of the same name that drew tourists cruising along the coast, for a locally-sourced, seafood centric feast. The oysters, of course, are a specialty. And the property’s cottages offer a luxe but homey retreat, each featuring a unique twist on the nautical theme; amenities include rainforest showers and heated tile floors, and some rooms offer wood-burning stoves and large clawfoot tubs perfect for a soak after a long day outdoors. The property is offering Valentine’s Day packages that include a bioluminescent kayak tour, oysters, wine, and other goodies. Forget about the hordes of fanny packed-tourists that will overrun Napa and Sonoma on Valentine's Day weekend and head instead to the under-the-radar wine region of Anderson Valley, where homey tasting rooms, a wonderfully slow pace, and plenty of wide-open spaces make for a delightful getaway. 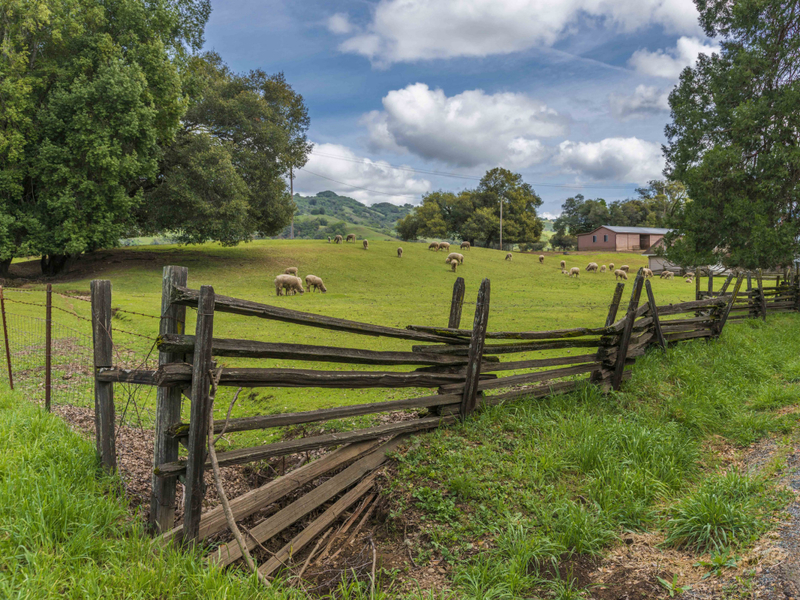 It’s an adventure getting there, too: You’ll have to navigate the harrowing twists and turns of a two-lane, 28-mile stretch of Highway 128, but once you hit the tiny town of Boonville, you can exhale. For some outdoorsy exploration, head to Hendy Woods State Park, about eight miles from Boonville. Camping at the park won’t reopen until Feb. 29 because of a renovation project, but the park is worth a visit for a serene hike through its beautiful redwood groves. For wine tasting, there are picks-a-plenty, but some recommendations include Mary Elke (a quaint, pint-sized tasting room to sample excellent wines from this well-respected local winemaker); Navarro (super-nice staff, terrific views, and great value); and Roederer (grab a magnum of bubbles and you’re guaranteed life-of-the-party status at your next gathering). When your palate is puckered out, head over to Anderson Valley Brewing, one of the most popular hangouts in these parts, for great beers, free peanuts, and one of the best disc golf courses in California. Sounds pretty romantic to us. Driving along the winding ribbon of asphalt along picturesque Shoreline Highway, the views are more breathtaking around every corner: the rocky, rugged coastline, the crashing waves of the Pacific, and the skyline of San Francisco. 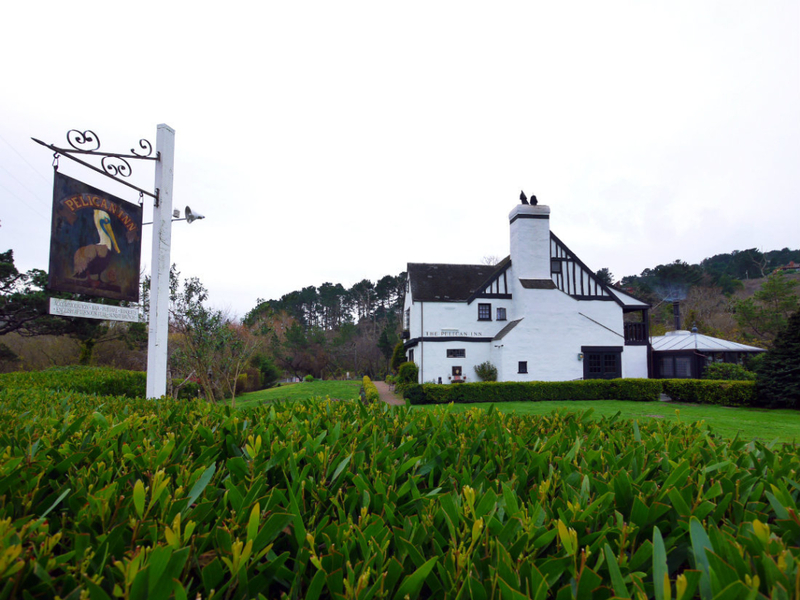 Then, around another bend, the Pelican Inn comes into view—with a whitewashed façade and Tudor-style architecture that looks like it was pulled right from the English countryside, yet somehow works perfectly in the Marin headlands, too. The seven-room inn does double duty as a convenient home base for all sorts of outdoor exploring—from hiking in Mount Tamalpais State Park to exploring the trails around Muir Beach —as well as the perfect spot for post-adventure relaxation and romance. Rates start at $215 and include a full English country breakfast. Or just pop in for some hearty pub fare like bangers and mash or beef Wellington and a pint or two. Any trip to this coastal enclave must include a stop at Duarte’s Tavern, which started out as a saloon and barbershop in 1894 and has been serving hungry and thirsty patrons ever since. The beloved establishment is known for its delectable cream of artichoke soup—an affordable and tasty alternative to an overpriced, pre-fixe Valentine’s Day dinner. 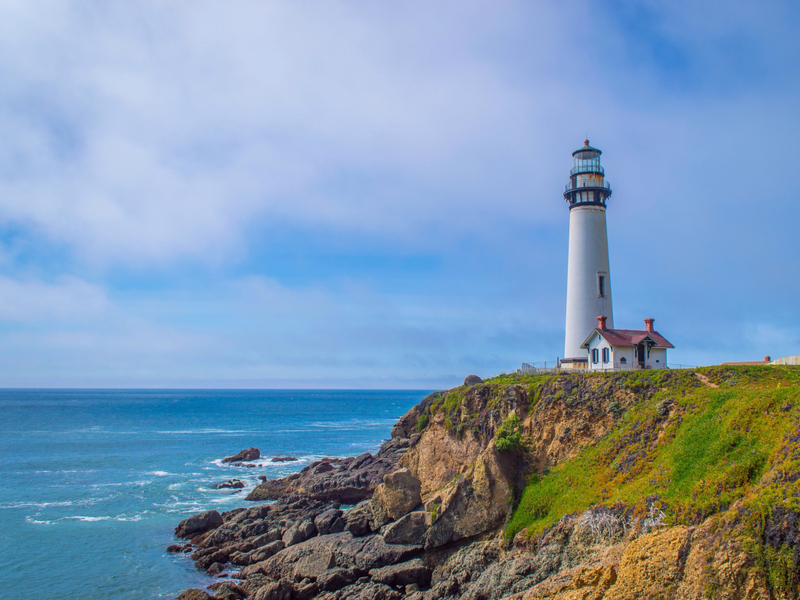 The bad news, however, is that Pescadero’s coziest place to stay—a well-equipped hostel in the 115-foot Pigeon Point lighthouse—is sold out through late March. More availability opens up in the summer, so now’s a good time to start planning a warmer-weather getaway (or to get reservations for Valentine’s Day weekend next year).